April 17, 2017 The Road to Hope – Built! November 21, 2016 Congratulations to Erin for passing the WELL exam this week! 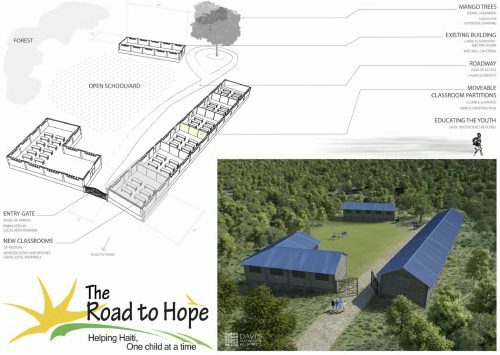 The Road to Hope – Built! Christy Collins, Jamison Burt, Nick Allen, and Chelsea Lawrence gave their time and energy, and created beautiful boards that proved central to the successful collection of adequate financing. 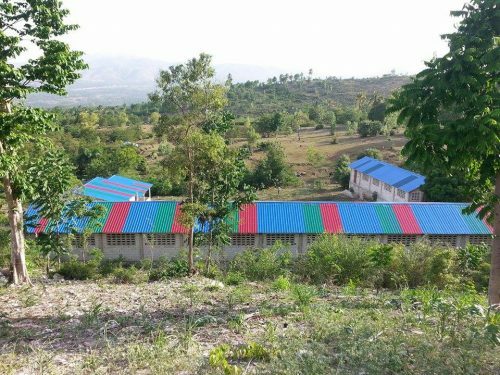 On November 2014, Mike Sullivan / Trammell Crow asked if we might be able to create a couple of images to contribute towards a pro bono effort he’s part of, to raise money to build a school for children in a deeply impoverished community in Nordette, Haiti. He left the request open to whatever we could accomplish, truly appreciative of whatever we could do. It was clear from the outset that this did not carry the benefits of being a fun building design opportunity. The organization raising the funds does not design the schools; they gather resources and offer leadership to support communities building in the vocabulary and materials they are familiar and efficient with. They defined essentially what the buildings needed to be, and asked that we take that information and work with it to create some images that might inspire others to wish to contribute. Christy Collins, Nick Allen, Jamison Burt, and Chelsea Lawrence all came forward when they heard about the request, offered to help, and created the attached boards in response. What they envisioned and produced far exceeded hopes or expectations. They put in some late nights to get this pulled together with an extremely tight deadline, and were committed and thoughtful about the work, as well as flexible and generous with their time, to make sure it was a success. 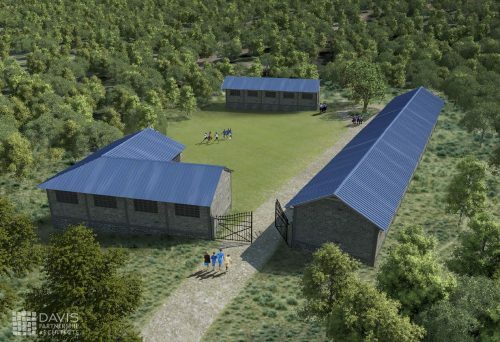 The school has been built, and organizers from The Road to Hope reached out and thanked us again!